The nasty weather returned on Christmas Day. Very windy with sleet turning to heavy snow. Out east there were still lots of Black-legged Kittiwakes on the coast. There must have been at least 1 Red-legged among them but if there was I couldn't find it. 7 other gull species were around as were Harlequin Duck, Brent Goose and Black-necked Grebe. Great shot of the kittiwake in flight. 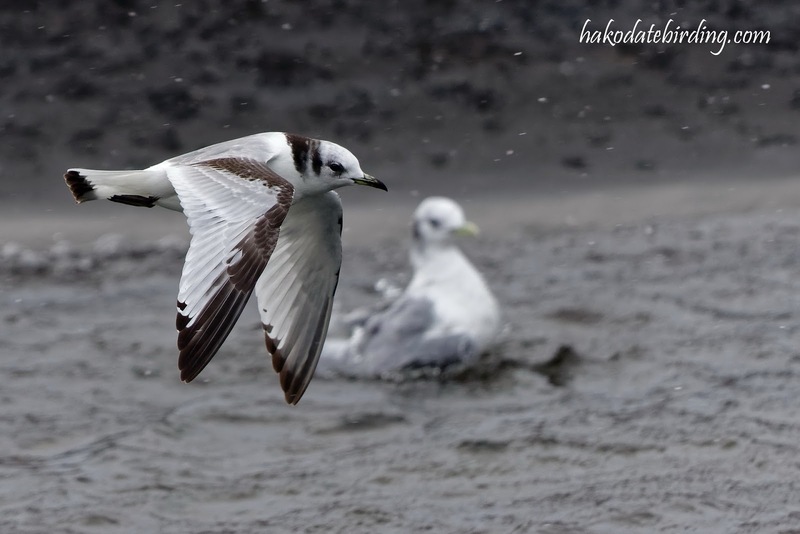 It is such a delicate little gull. Just looking at the weather map for your area. Looks like a lot of snow to come! Might bring some rare migrants? A Snowy Owl or Ivory Gull would be very nice!